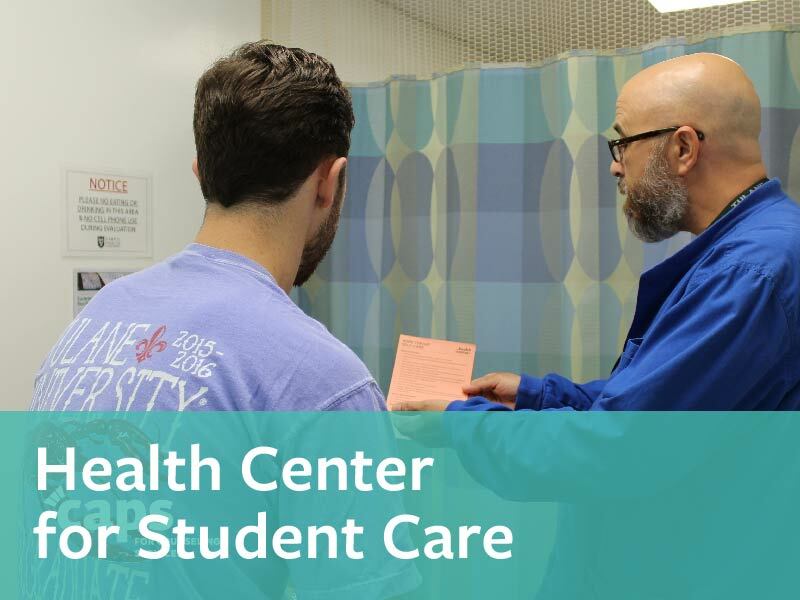 The Health Center is staffed by licensed and board-certified providers to provide accessible, high-quality medical care for students during their time at Tulane University. We provide comprehensive medical care, including both primary care and preventive health care services. We also offer referrals for specialized care in the community. Appointments - Visits to the Health Center are scheduled by appointment at either the Uptown and Downtown location. Make an appointment by phone or using the Patient Portal. Learn more about appointments. Nurse Advice - Visit a nurse in the Health Center during walk-in hours or call a nurse any time of day. Learn more about getting nurse advice. Access to Care - Most degree-seeking students are eligible to access services from the Health Center. Learn more about the University's Campus Health Access Fee. Billing - Services and visits at the Health Center require the collection of co-pays, co-insurances, or deductibles. Campus Health will submit claims to the student’s primary insurance. Learn more about our billing procedures. Confidentiality - Campus Health is a HIPAA covered entity and is unable to share private health information without the patient's written permission. Learn how to request medical records. Meet our staff: Uptown staff and Downtown staff.